Australians can now book non-stop flights* from Australia to Europe for the first time, with tickets for Qantas' Perth-London (Heathrow) route going on sale today. Daily flights on the history-making route begin on 24 March 2018 and form part of a new Melbourne-Perth-London return service. The services will be operated by Qantas’ new Boeing 787-Dreamliner – an aircraft designed specifically for comfort on long-haul sectors. Customers from other Australian cities will be able to connect to London via Perth, while inbound passengers will be able to transfer from the West Australian capital to onward destinations across the country. There’s also expected to be a surge in stopovers within Western Australia itself. The new QF9/10 will replace Qantas’ existing Melbourne-Dubai-London services – marking the next evolution of the Kangaroo Route, seven decades after the national carrier first flew Australians all the way to London. Qantas Group CEO Alan Joyce said there had been global interest in the Perth-London flights since they were announced in December 2016. “We’ve said the Qantas Dreamliner is a game changer, and that’s becoming real today,” Mr Joyce said. “The Kangaroo Route has kept changing with new technology. It used to take four days and seven stops but now we’re able to link Australia and UK in a single hop. It’s a level of convenience Australians have never had before. “We’re conscious that this is a long flight, but not much longer than our Sydney to Dallas service. It’s the kind of route that the Dreamliner was created for, because of its built-in features to reduce jetlag and improve the overall travel experience. Mr Joyce said direct routes tended to stimulate new travel demand by making it easier to get to a destination – something that will benefit the West Australian economy and Australian tourism more broadly. The travel experience for customers connecting in Perth will be seamless, with Qantas building a new international transit lounge at Perth Airport. People joining the flight to London from other parts of Australia (including regional Western Australia and Adelaide) will find it a smooth transition with international and domestic flights arriving and departing from the same terminal, complete with dedicated customs and immigration. More details on the transit experience at Perth will be announced next month. By swapping its daily A380 Melbourne-Dubai-London service for a daily 787-9 Melbourne-Perth-London service, Qantas has made Victoria the hub for its first four Dreamliners. Qantas’ first two 787s will be dedicated to the Melbourne-Los Angeles route from December 2017, with the third and fourth aircraft dedicated to Melbourne-Perth-London service from March 2018. With a faster flying time and quicker connections in Perth, customers travelling to London from Melbourne will reduce their total travel time by more than an hour compared with existing Qantas A380 services. The Qantas Emirates partnership will continue to deliver an unrivalled offer to Europe with more options for passengers to choose from in both directions. Qantas customers in Melbourne will have the option to fly with partner Emirates on Qantas code to Dubai and then direct to nearly 40 destinations in Europe. Emirates is up-gauging its third daily flight from the Victorian city from a Boeing 777-300ER to an A380 service from the 25th March, 2018. 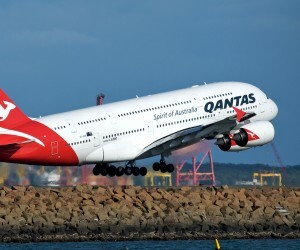 The Qantas A380 that currently operates the Melbourne-London route will be redeployed to meet periods of high demand from Melbourne and Sydney to destinations in Asia, such as Singapore and Hong Kong. Subject to government and regulatory approvals. ^The return QF10 sector operating from Perth to Melbourne will also connect onwards to our B787 Melbourne-Los Angeles service, creating a seamless same day connection the whole way on our B787 for Perth passengers travelling to Los Angeles. When it launches, it’s expected to be the third-longest passenger flight in the world. 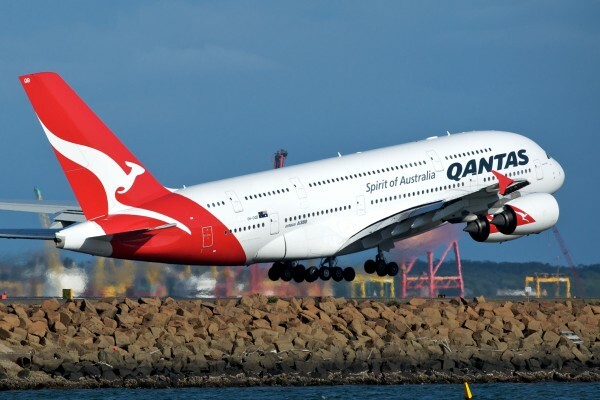 It will be the longest flight on the Qantas network, followed by our non-stop A380 Sydney-Dallas service (13,730km). It will also be the longest Boeing Dreamliner flight in the world (download Qantas B787-9 Dreamliner fact sheet and access high res images).